Shelterrific reminded me that the new Bravo TV show Top Design starts tonight at 11pm! It's all about interior design so I'm looking forward to the new ideas. I also love Todd Oldham. Remember when he was a fashion designer back in the 90's? Jonathan Adler is also one of the judges. Maybe he'll have some good one liners like Michael Kors from Project Runway. There's also a new Blogging Top Design blog too. Finally a reason for me to watch TV again. The only problem? LOST is back on ABC next week at 10pm so as to not compete with American Idol. My husband and I got addicted to LOST right before the holidays by renting all the DVDs. I'm not sure I can handle it if Top Design is on every Wed at 10pm. And I don't have Tivo. So I'm sure it will be repeated like crazy on Bravo, at least I'm hoping. How cute are these babies now with color? 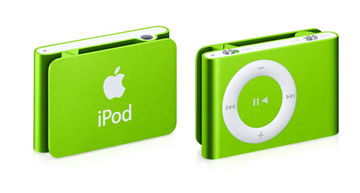 I'm now dying for the green iPod shuffle. 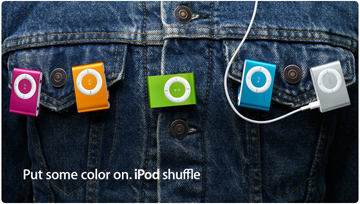 I've been using my now "old" grey shuffle for the last 2 months while traveling. It's been the perfect travel companion at the airport and on the plane. The shuffle function is fantastic because I am guilty of forgetting cool songs I have so it's nice to be surprised with my own collection. Plus it's light as a feather and so cute. You'll definitely get some good attention with this now so be prepared. They are nice conversation starters so single gals take note! Unfortunately, All sizes seem to be out of stock right now. Has the same style slit pockets but in a darker wash. Love the buttons down the front. Stylehive: From trash, comes treasure! 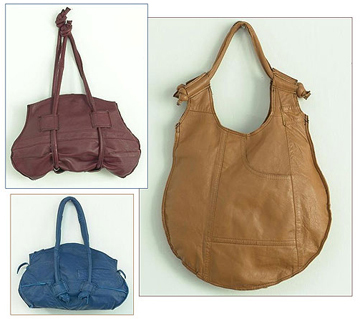 Ashley Watson's Recycled Leather Bags are downtown-cool, eco-friendly bags fashioned from recycled leather clothing. Bag Snob: To Chanel or not to Chanel, Bag Snob ponders her role in the shopping habits of bag addicts. FASHIONTRIBES: Dresses, florals, metallics & more...Fashiontribes has your Top 5 stylish spring must-haves! Girlawhirl can’t stop smiling when she wears PlantLove lippy from Cargo Cosmetics. My Fashion Life reviews Felipe Olivera Baptista's horse play at Haute Couture week. Papierblog: Eva ponders the meaning of Armani's net broadcasted Haute Couture show. 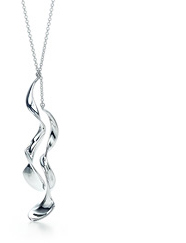 The Jewelry Weblog gives her opinion concerning the latest trend of embellishing clothing with gemstones. KRiSTOPHER DUKeS: Every year you ought to upgrade your arm candy. So consider hottie hunting for a new boy, and check KRiSTOPHER DUKeS's Top 5 Bags for Spring. eBelle5: Fendi Signature Zucca Dressed Monkey! eBelle5 located the Exclusive VIP Fendi Baby Milo. LA Story: It's A SUITE LIFE PART II: Silver Spoon Is "Slammin' & Glammin" in the Hills--Beverly Hills! Fashiontribes LA Story Golden Globe SWAG Bag Podcasts & Blogs!! Stylebites: "Television and style go hand in hand but have we lost our fashion role models?" asks Stylebites. 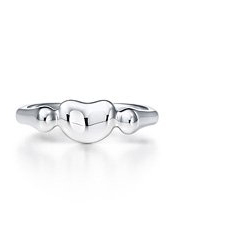 There isn't anything better than treating yourself to some nice jewelry from Tiffany's. I've bought myself a few pieces over the last 10 years and they are the ones that have lasted. I'd recommend to stay away from the typical logo emblazoned pieces they seem to push more -- they are too chunky. 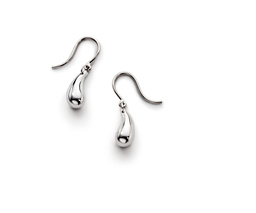 Go for the classy modern pieces. 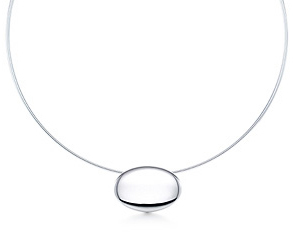 You'd be surprised how long a good piece of jewelry can go and their silver collection is very affordable. 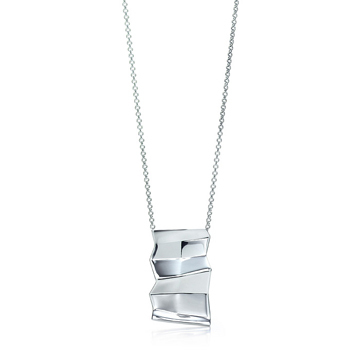 This Frank Gehry® Fold pendant is beautiful modern art and at $195 a definite piece in your permanent collection. 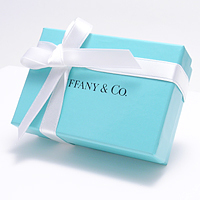 And what's better than buying it for yourself and unwrapping that stylish blue box with white bow? 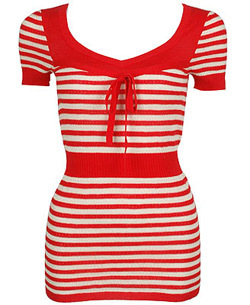 Looks like the Nautical look is still going strong for Spring 07. Start with the cute Ramie Knit Top ($17.80) at Forever 21. Pair it with JCrew's Sailor Pant ($78) in White. Add the Button Peeptoe Slingback ($38) from Urban Outfitters. 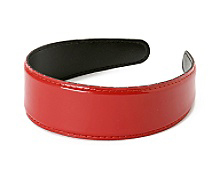 The Slicked Back Headband ($16) from Anthropologie will keep your hair in place. 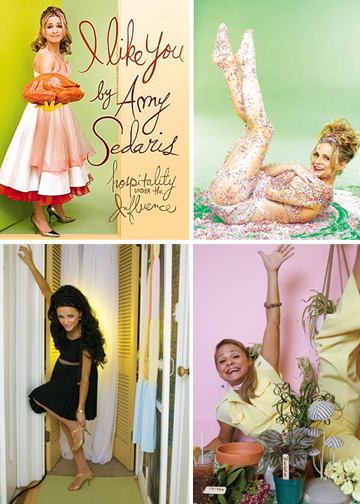 I got a special chance to interview comedian and crafty lady Amy Sedaris for the CRAFT blog. If you get a chance, go and buy her new book, I Like You: Hospitality Under the Influence because it is not only hilarious, but chock full of tips and ideas. 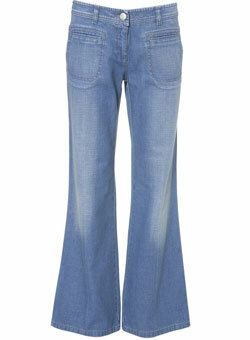 Now thanks to Kate Moss [ via People ] you have a bit of a window where you can wear both skinny or wide-leg jeans. (She hasn't completely abandoned the skinny jeans just yet herself.) 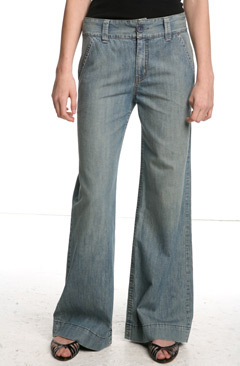 Continue to be trendy with your skinny jeans or become one of the new trendsetters with wide-leg jeans. 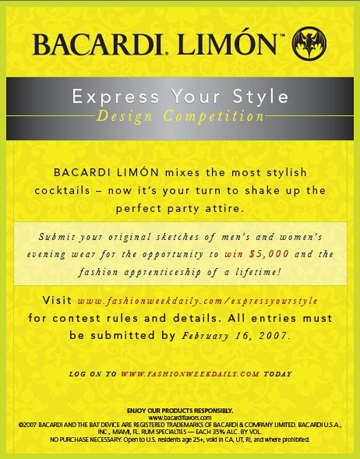 If this is any sign, I believe we will start to see more wide-leg pants down the runway for fashion week, Fall 07. 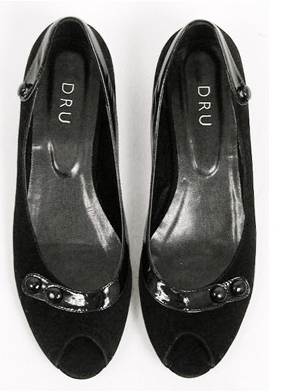 I am in love with these DRU New York peep toe flats ($121 from Girlshop, also available in Green). 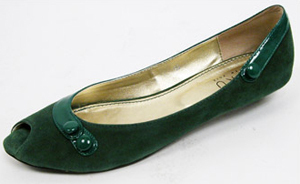 These flats will go with anything and I love the mix of texture with the patent leather and button detail. 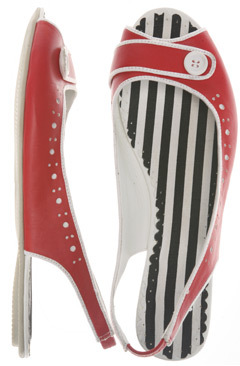 Ok and if it's reaaaalllly too cold to go barefoot, wear these cute shoes with some colorful tights. Here's a close up of the shoes and the rich colored green that will surely make a splash!